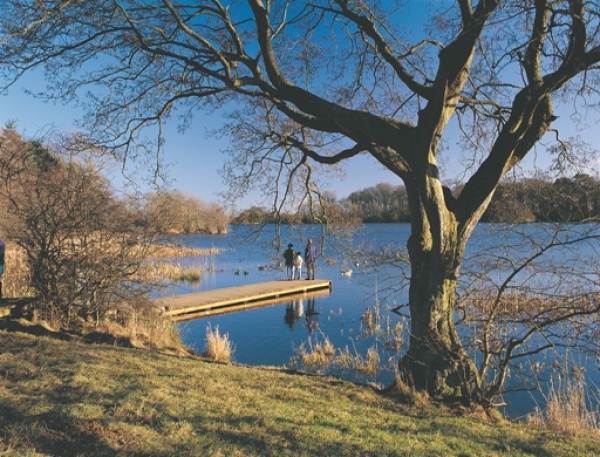 Bolam Lake Country Park is situated in the heart of the beautiful Northumberland countryside surrounded by historic landscapes and dramatic views. It has lakeside, woodland and open grassed areas for all to enjoy with the attractive lakeside walk being accessible for wheelchairs and pushchairs. For many years Bolam Lake has been a popular place for a day in the countryside. Take a leisurely stroll around the lake or explore the woodland. Bring a picnic and enjoy a summer's day with the family or explore on your own and discover the wildlife which makes Bolam Lake so special, including red squirrel, roe deer, great spotted woodpecker, and nuthatch. The Visitor Centre is a good starting point for your visit. It has a café, shop and information area. The café sells a range of hot and cold refreshments, including soup, cakes and sweets. The shop has local information and sells a range of gifts, books and maps. The visitor centre and cafe are open from 10.30am to 4.30pm at weekends, Bank Holidays and school holidays from Easter to November. From December to Easter it is open from 10.30am but closes earlier at weekends and during school holidays. It is fully accessible. The toilets are located in the Boathouse Wood car park next to the Visitor Centre and are open daily.